Pat's Scraps: I Received Another Award! 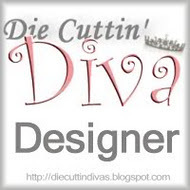 Sweet Libby at Beach Creations has given me the Stylish Blog Award! Go check out her site; her work is terrific! http://beachcreationsforyou.blogspot.com/ Thank you, Libby!! When you receive this award you should: 1) thank and link back to the person (or people) who awarded it to you, 2) share 8 things about yourself, 3) pay it forward to 8 bloggers that you have recently discovered, and 4) contact those bloggers and tell them about their awards. 1. I have 1 brother and 1 sister, and we're 10 and 15 years apart, respectively (I'm the baby!). 2. I have a daughter, a stepson, 1 niece, and 3 nephews (small family). 3. Unfortunately, both my parents had passed away by time I was 25. 4. My favorite color was always blue; but I really love red too. 5. Fall is my favorite season; I was born in the fall. 6. I met my husband after he responded to my personal ad in the newspaper. 7. We got married exactly one year later on the anniversary of the day we met. 8. And now we're almost empty nesters, with 4 cats though (our second set of kids)! Thank you very much. This is so sweet. Yeahhh, thanks for the award. Congratulations on your award and to everyone that you shared it with. Thanks for the award!! So cool! But at the risk of sounding stupid, I could not figure out how to get the button....HELP please! Congrats on the award AND for reaching your goal of 100 Followers!